The Dickason room, named after the street it faces onto, is our smallest room but also one of our favorites. It includes an old fashioned style high tank "water closet" with long pull chain and the bed is the oldest piece of furniture on the property dating to the late 1850's and coming from Northern France. 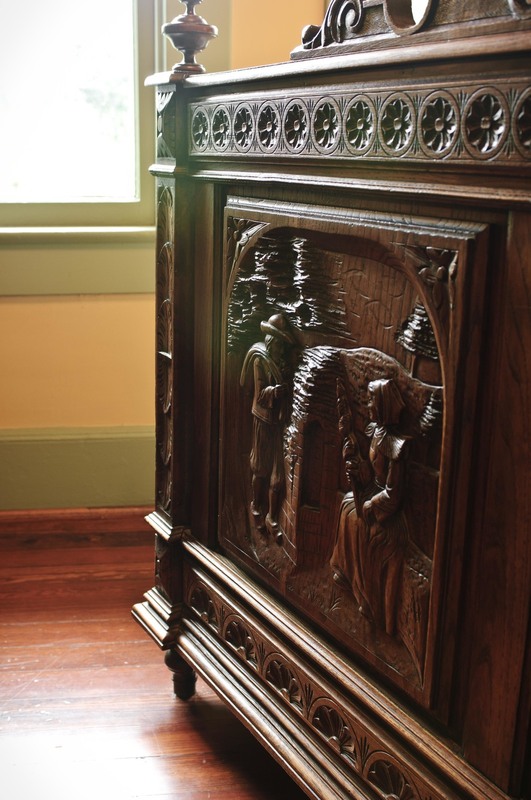 It was produced for the Flemish market with the bas relief carvings on both the footboard and headboard depicting idealized country scenes with figures wearing wooden clogs and traditional hats. Complete 360 view of the Dickason Room at the Daisy Polk Inn.